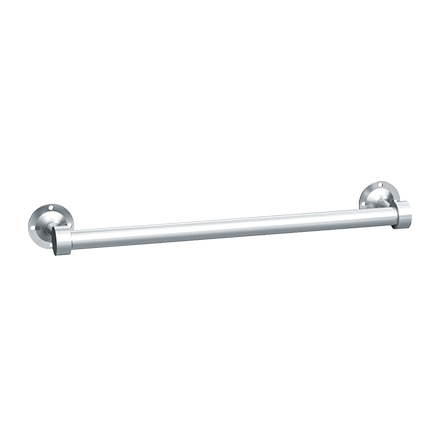 Towel bar fabricated of 1″ (25 mm) O.D. x 20 gauge, type 304 stainless steel with a satin finish and designed not to turn in support posts. Support posts fabricated of heavy solid cast brass plated to have stainless steel satin finish to match stainless steel. Available in 18″, 24″ and 30″ (457, 610 and 762 mm) lengths.